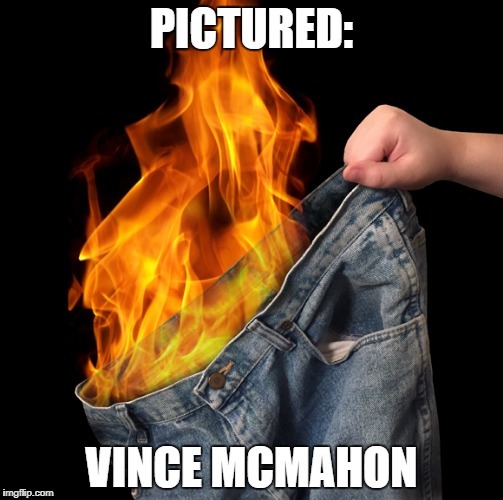 Wrestling Observer Flashback–07.11.94 – Scotts Blog of Doom! Well, this week is certainly a bummer. – In a public service announcement for the week, Dave reminds us that you never know what a jury will do. So let’s not presume that Vince will automatically get sent up the river based on pre-trial evidence. – The trial was originally scheduled to run for five weeks, but has been cut back to three weeks, with several witnesses now being told that they’re not needed. – Sean O’Shea opened by saying how Pat Patterson and Jay Strongbow wanted Zahorian around because the “boys needed their candy”. He accused Titan of cutting all ties with Zahorian because they were about to be “caught red-handed” in 1991, which is where the conspiracy comes in. He also accused Vince of urging and cajoling the boys to use steroids, although the specific incident on trial was selling them to Hulk Hogan with company funds in 1989. In fact, Patterson would call Zahorian on payphones exclusively so that no one could bug the calls. – O’Shea noted that Zahorian may have been lying at this own trial, but he’d be telling the truth here. – Laura Brevetti then gave an opening statement that was said to be the biggest and most detailed expose of the wrestling business in history. (I believe the transcripts were released a few years back and it was pretty mind-blowing.) She openly stated that wrestling is fake and not a real sport, and gave a detailed breakdown of how matches are worked and set up and how steroids are a necessary evil. In fact, Vince made a personal choice to use steroids back in the 70s, and if he knew of the horrible side-effects and general evil associated with drugs, he never would have made that particular choice. – First up to testify was Randy Culley, who stated he would get his three-week supply of roids from Zahorian when they taped in Allentown. McDevitt tried to discredit him as a high school dropout, but that backfired because it came off as an aggressive lawyer bullying a country bumpkin. – Tom Zenk was next, saying he started using in 1981, and that Jack Lanza told him to go see Zahorian if he ever needed anything. He testified that he left the WWF in 1987 over money and an undisclosed issue with Pat Patterson & Terry Garvin. He then went to All Japan and the WWF wanted to take a cut, so Tom called Linda McMahon and asked if he should go to the New York Times and reveal that a “family entertainment” company was based on steroids. Zenk claimed that his beef was always with Martel and not Vince, and that Vince never told him to use steroids, because Zenk always had good genetics and didn’t need them. – Next up, the Warlord, who admitted to injecting other wrestlers and flushing needles down the toilet. He thought Zahorian’s prices were too high, so he found another source in Europe. He is currently on 18 months probation after being arrested for steroid possession, but claimed on the stand to be clean since his arrest. Many people in the courtroom were openly laughing at that line. – Tully Blanchard was the final witness of the day, and he testified that Vince told him that they only cared about cocaine, but weren’t concerned with pot or steroids. – Overall, the first day did a very effective job of establishing that many wrestlers used steroids before and after the WWF, and that no one was specifically told to use them while in the company. Upcoming witnesses include Ultimate Warrior, Hulk Hogan, Honkytonk Man, Rick Rude, Jerry Sags, Big John Studd, Tony Garea and of course George Zahorian. – Jake Roberts no-showed the SMW show on 7/1 in Knoxville, disappearing without giving any notice, and Bruiser Bedlam had to substitute for him all week. Then on 7/3, in Marietta, Roberts told the office that if they wanted him there, he’d be there. So they called him and told him that they wanted him there. And he wasn’t there. 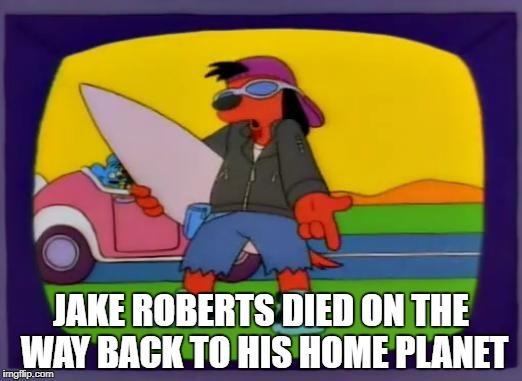 Finally Roberts called Cornette on 7/4 and said that his wife was having trouble with her pregnancy, which Cornette noted was a legit excuse, but Jake never called or informed them of it until four days after he already no-showed. So on the 7/5 TV tapings, they had Dirty White Boy come out with the belt, having defeated Roberts in a fictitious match earlier in the week, and he was never mentioned again. – Inoki’s inexplicable trip to the US to work the August Clash is because he’s trying to put together a match with George Foreman, since he’ll be retiring soon and this will be his only shot. – Sid Vicious returned to wrestling, running in to attack Jerry Lawler and causing him to lose the main event of the Memphis show on 7/4. – By the way, for those who have been in suspense since the last issue, the mystery man advertised turned out to be Phil Hickerson. – Further update: The bird that was fried last week by Reggie B. Fine was in fact NOT Frankie according to the announcers, and the real bird is still whereabouts unknown but presumed to be held by Fine. – Jim Crockett is STILL talking about starting his new promotion, which is now tentatively called “Jim Crockett Promotions presents the NWA”, although now Paul Heyman and the ECW crew won’t be involved due to creative differences. – To WCW, where another employee has defected from the WWF. In this case, production guy Tom Hunt will be running the WCW hotline, fresh off working backstage for the WWF on recent tours. – Turns out that the story about a fan going after Terry Funk with a gun from last week may have been exaggerated. There was a guy with a gun who was drunk and escorted out by security, but he didn’t charge the ring or anything. – WCW officials are still predicting a 1.0 buyrate for Bash at the Beach, which would be a huge success. – To the WWF, where they did a dark match angle with Bob Backlund where he, shall we call it…snapped, and put a jobber in the chickenwing and wouldn’t let go. This was said to be a tryout of an idea and wasn’t taped. However, at the Superstars tapings on 7/3, they did a match with Backlund challenging Bret Hart for the title, where he thought he had beaten Bret but it was only a two count. This led to Bret getting the real win with a small package and Backlund flipping out again and putting him in the chickenwing. This one may or may not air. – Jim Ross did announcing for all the RAW shows at the Bushkill PA tapings.